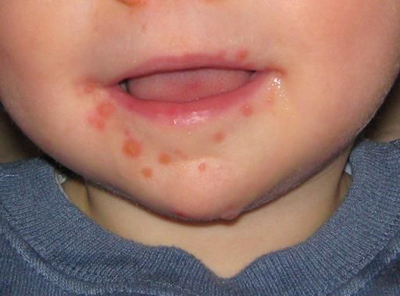 Hand, foot and mouth disease (HFMD) is believed to be a syndrome caused by viruses belonging to the family Picornaviridae. This disease is NOT related to foot-and-mouth disease (FMD) that occurs and affects cloven-hoofed animals, such as buffalo, sheep, cows and pigs, although there is a similarity in symptoms. Some medical scientists believe that when foot-and-mouth disease transfer to humans through contact with infected animals, the construction of the virus as well as the symptoms changes. Hand, foot and mouth disease usually affects infants and children. It is also contagious through direct contact with the mucus or saliva with an infected person. The usual incubation period is 3 to 7 days. There is neither special treatment nor medicine at moment. Doctors may not give you any treatment but only advises. Patients should rest at home except on severe cases. But usually, patients get well after around 1 week. Whatever it is, follow the instructions of your physicians. 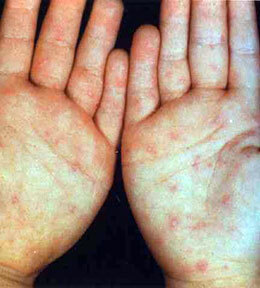 The PYRO-ENERGEN therapy is very effective for hand, foot and mouth disease (HFMD).